Floating Villages and The HandyPod – Wetlands Work! Almost 100,000 people live in dense floating communities on Cambodia’s Tonle Sap Lake and during the low water dry season, many experience poor health as their local ambient water becomes contaminated and often septic. Using WW!’s HandyPod treatment system, We have demonstrated that a floating household’s wastewater can be contained and treated to a high grey water standard, allowing ambient water outside the Pod to be recreationally healthful. By significantly improving local ambient water quality as well as making cleaner, safer water for household use, we hope to foster better health among families with children and a more robust surrounding natural environment for economically valuable fish larvae. 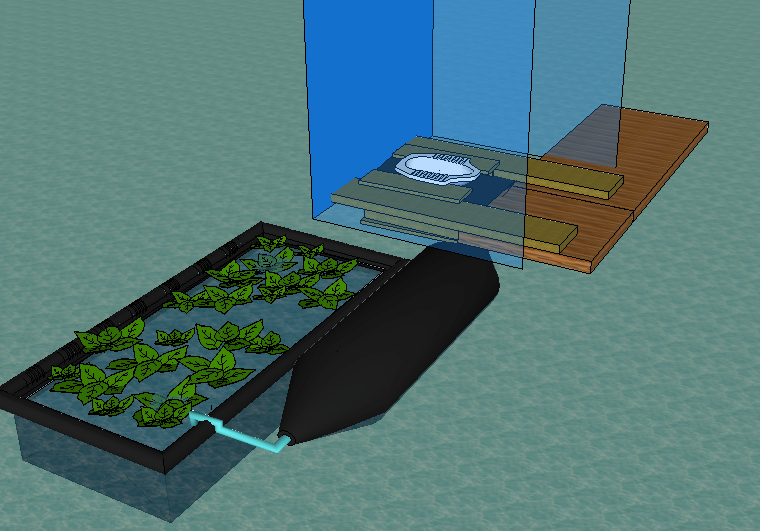 An aquatic Handy Pod is inserted under a floating house’s toilet, capturing the raw sewage and treating it within the Pod using microbial biofilm processes. The Pod was successfully tested in floating villages for over three years, leading to a product that isolates and treats wastewater efficiently with no aesthetic problems in terms of smell or ‘visuals’, no mosquitoes, no chemicals, and basically no maintenance. The ‘proof of concept’ of the Pod and the initial village-wide program was supported by Conservation International and the Bill and Melinda Gates Foundation’s Grand Exploration Challenges Program for Water and Sanitation; the pilot scale-up of the Pod was trialed in 10 floating villages, supported by Canada Grand Challenges Program for Stars in Global Health.